Pakistan Cricket Board said that the final of the mega event, PSL 3 will be managed in Pakistan, as they have already promised to conduct the final of the mega event in Karachi on 25 March 2018. The playoffs of this year will be played in Lahore on 20 and 21 March 2018 and the final of the mega event will be conducted in Karachi on 25 of March. The PCB has also announced that the tickets for the final of the event will be available now. The prices of the ticket for the PSL 3 final has been announced a week ago and the ticket prices were higher than the anticipated prices. Now the prices of the tickets for the two enclosures of the National Stadium have seen the outrageous increase. The official partners of PCB announced the price of the tickets previously and for the general enclosure, the price of the ticket will be Rs.1000/-, for the first class, tickets will be Rs.4000/- for the premium class, the price of ticket will be Rs.8000/- for the VIP class, the price of the tickets will be Rs.12,000/-. Initially there were 5 enclosures, which were dedicated for Rs.1000/- tickets and 3 enclosures to VIPs and it cost for each ticket for Rs.12,000/-. 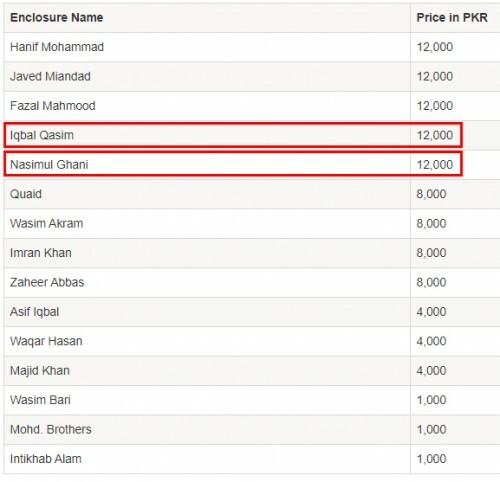 The price of the two enclosures including Iqbal Qasim and Nasim ul Ghani enclosures have been increased to Rs.12,000 from Rs.1000/-, which is the 12 times increase in the tickets of these two enclosures. Two enclosures for the general public have been shifted to VIPs in order to facilitate them or increase the profit. The viewers can watch the list of the latest price listing of each enclosure. The change in the status of two of the enclosures have been noted and people are speculating the reason behind increase in the price of the tickets of these two enclosures, Iqbal Qasim and Naseem ul Ghani enclosures. 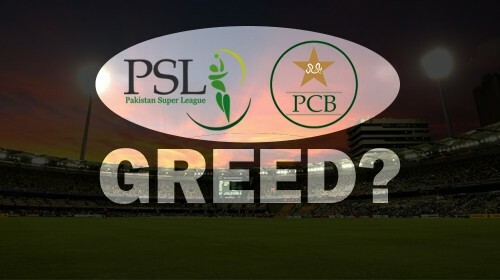 PCB will earn the profit of Rs.67.3 million as compared to before because of their decision. Now there are 5 enclosures for the VIPs, 3 for the general public, 4 enclosures for Rs.8000 and 3 enclosures for Rs.4000/-.